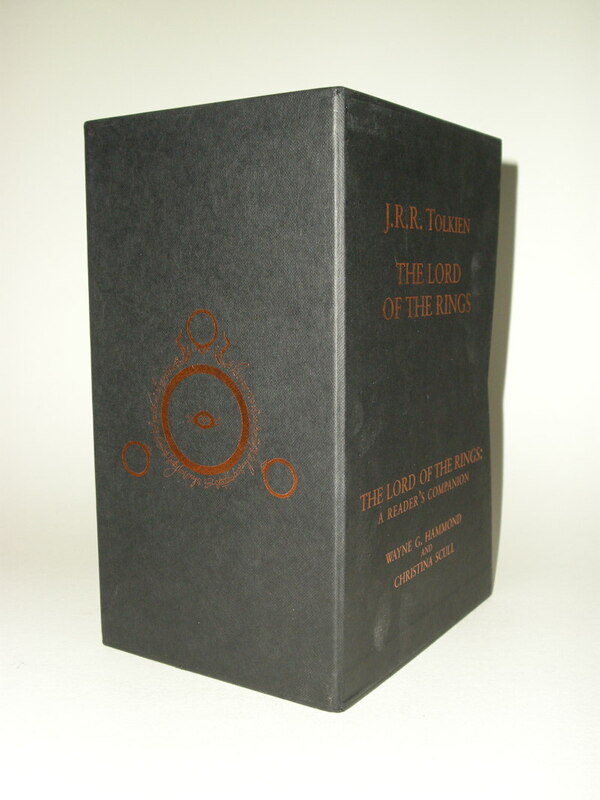 Copper Rings and Eye device on black slipcase and book covers design based on artwork by J.R.R. Tolkien. 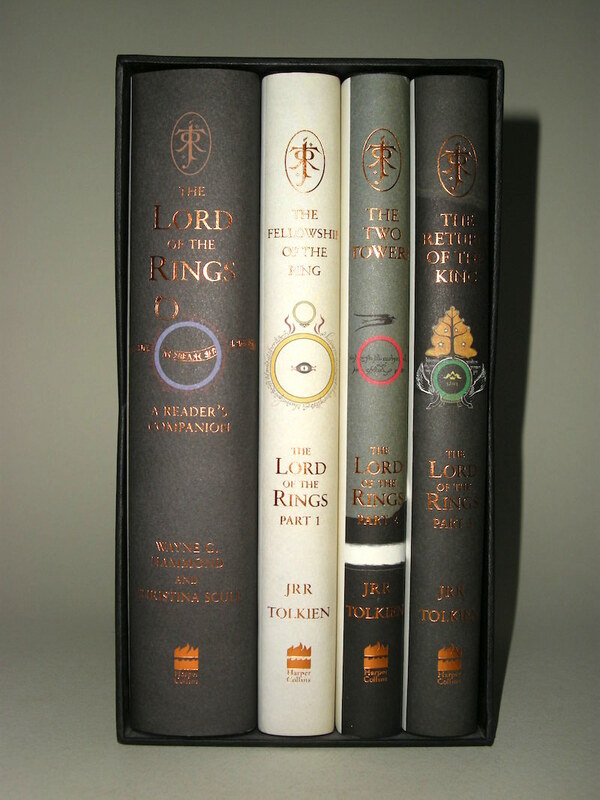 The Lord of the Rings and The Lord of the Rings: A Reader's Companion, 50th Anniversary Edition released in 2005 by HarperCollins. 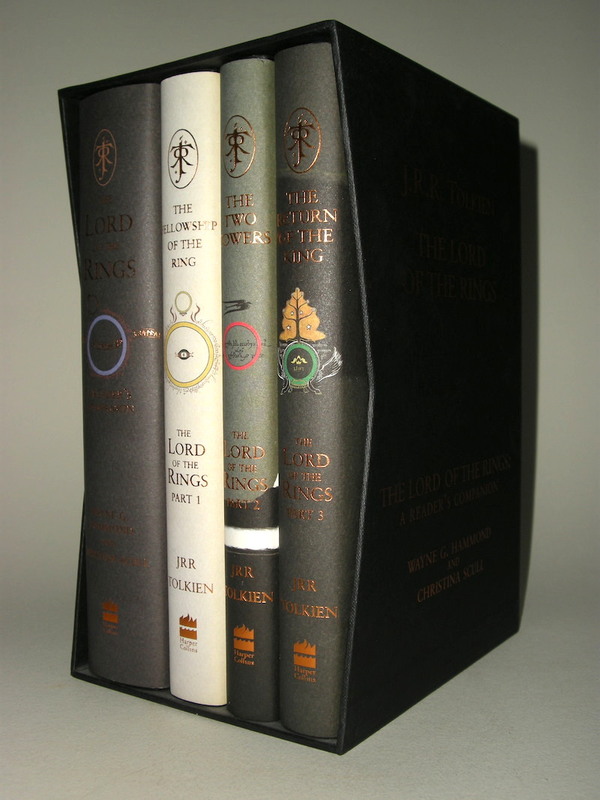 This set includes 4 splendid hardcovers: J.R.R. 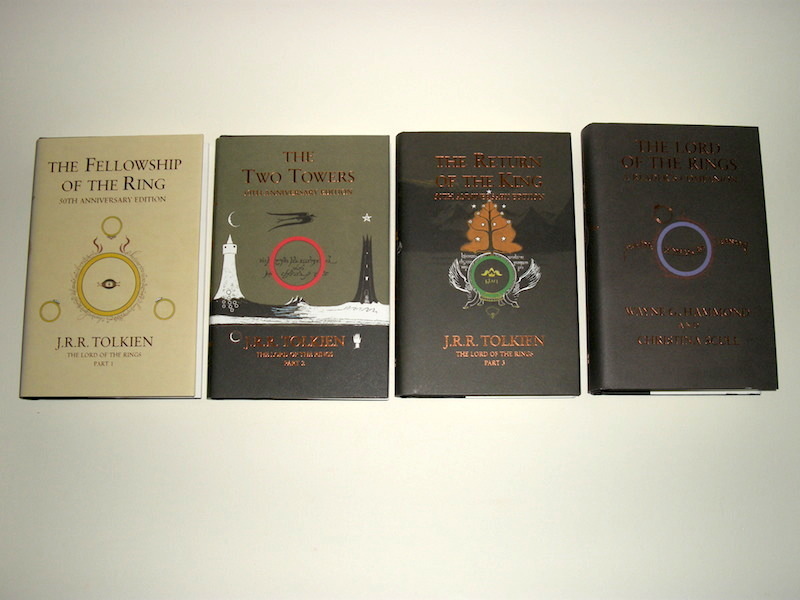 Tolkien's The Fellowship of the Ring, The Two Towers, The Return of the King and The Lord of the Rings: A Reader's Companion. 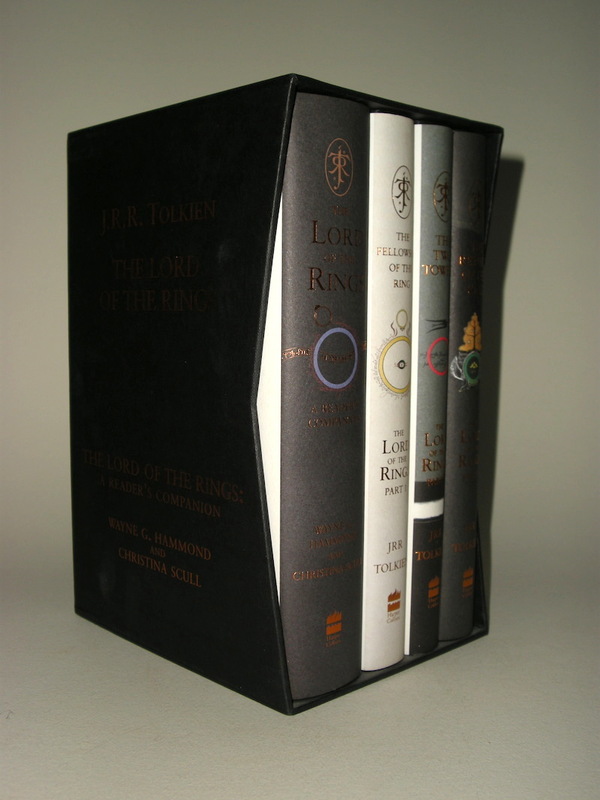 The Lord of the Rings: A Reader's Companion written by Wayne G. Hammond and Christina Scull has ISBN 0 00 720308 X and published by HarperCollins in 2005. The Fellowship of the ring has ISBN 0 00 720354 3 and published by HarperCollins in 2005. The Two Towers has ISBN 0 00 720355 1 and published by HarperCollins in 2005. 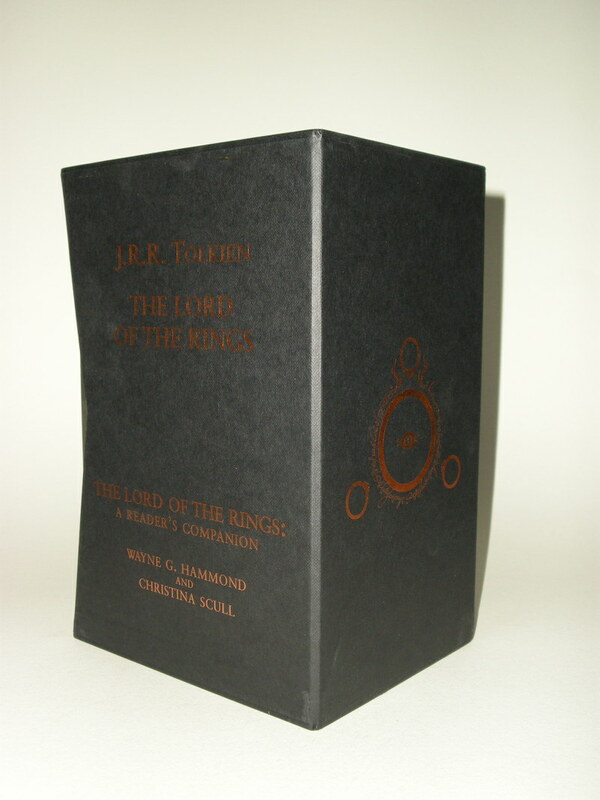 The Return of the King has ISBN 0 00 720356 X and published by HarperCollins in 2005. 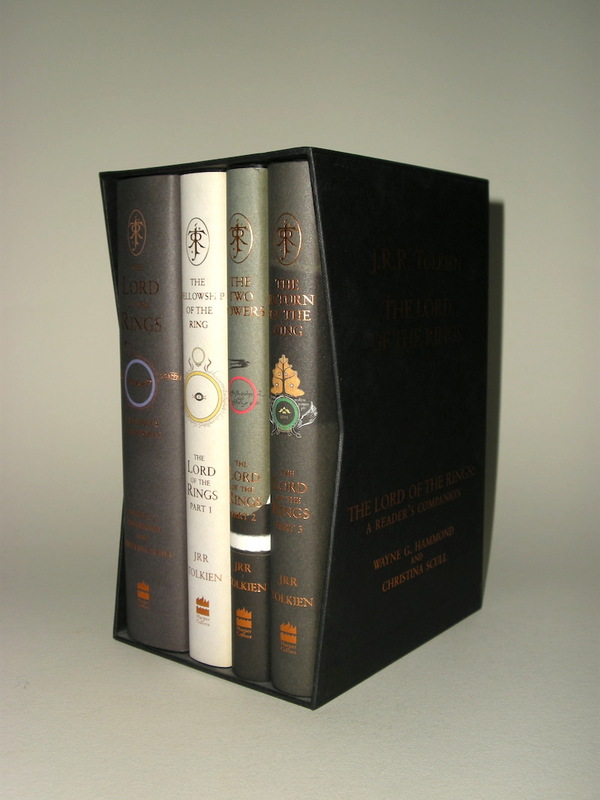 Book covers and slipcase with designs by J.R.R. Tolkien and ISBN 0 00 720357 8. Copper Rings and Eye device on black slipcase and titles of books and authors in copper at the sides. The book covers design based on artwork by J.R.R. Tolkien. These hardcovers with dustwrappers and slipcase are in brand new unread condition.